This essay was written by the organizing team behind the European Commons Assembly in Madrid. It was originally posted on the new ECA-platform. Go there. After the first European Commons Assembly in Brussels in 2016, the ECA landed in Madrid in 2017. This time, the theme of the Assembly was ‘Re-Imagining The Urban Commons’. A fitting topic in a city that since 2015 is being governed by Ahora Madrid. Organizing partners were Commons Network, Remix The Commons, European Alternatives, P2P Foundation, Zemos98, MediaLab Prado, Fundacion de los Communes and many other individual members of the Assembly. Activists, policymakers, scholars and curious citizens from over twenty countries travelled to the Spanish capital to engage in four days of discussions, workshops, presentations and informal exchange. The main location was MediaLab Prado, in the heart of the city. The implied goal of the Assembly was to unite civil society actors, commons practitioners and activists as part of the growing commons and municipalist movement. More explicitly, this edition of the ECA zoomed in on the emerging urban commons movement and the connection to Right To The City activism. As stated at its inception, the overarching goal of the Assembly is to be an ongoing platform, network and community that brings together those that engage in commoning practices all over Europe. On top of that, the Madrid gathering was tasked with figuring out what the direction of the Assembly in the future should be. By now in its adolescence, the European Commons Assembly needs to decide whether it wants to remain an organic network of loosely connected organizations, or if it wants to grow into a more pronounced political platform. Whatever the outcome of this ongoing thought process, the Assembly has proven to be a vital vehicle in the European commons movement, a space where people fervently share ideas, exchange knowledge and practices and form ad hoc political alliances with increasingly momentous policy positions. The manifestation of the Assembly comes at a pivotal moment in Europe’s history. Almost every country has elections, local, regional and national, in the span of barely three years. The year 2019 alone will bare witness to elections in Greece, Belgium, Poland, Portugal, Denmark and Romania, to name only a few. And then there’s the European Parliament election, coming spring. Democracy is being re-invented right in front of us, with new technologies for participation, innovative forms of decision making, and radically different narratives to underscore this change: Fearless Cities are popping up all over Europe, promoting the feminization of politics, leading the way in the remunicipalization movement, inclusive and green policies, re-inventing economy to benefit their communities, and municipalists standing up against imposing national governments. This period in time is also pivotal for more bleak reasons. The neoliberal dogmas that have determined so much of our dominant societal paradigm are starting to wither, and on the other side seems to be mostly a come-back of fascism. Race, gender and class inequalities are reproduced and exacerbated, only to be exploited by hateful politicians. The digital age has produced a new breed of parasitic monopolies, usurping not just our data, but increasingly, our daily lives. And our democratic systems do not seem to be able to adequately respond to the towering and all-encompassing battle against climate change. What will come next? Can the commons movement offer a real alternative narrative? The Assembly teamed-up with the Transeuropa Festival in 2017, making sure that the two events co-incide. This had organizational benefits (hosting two international events with hundreds of guests in one city at the same time saves money, time and a lot of airmiles and polution), but it was mostly an ideological convergence. European Alternatives, the organization behind the Transeuropa Festival, and the partners that organize the ECA, work in the same activist sphere. The collaboration between ECA and Transeuropa meant working together on the contents of the mutual programmes and co-hosting sessions, specifically, the plenary discussion on ‘radical urban politics’, the spotlight sessions with inspiring civil society actors at MediaLab Prado, the site visits throughout the city, and the closing evening in Matadero, with discussions about progressive urban politics ‘below and above the nation state’. The final session included a lively panel conversation on the commons and their role for new politics between Stacco Troncoso, Sophie Bloemen and Iva Cukic. European Alternatives made a lot of videos, watch them all here. Participants of the Assembly eagerly took the opportunity between the sessions to get acquainted with eachother, network, and socialize. During the Assembly, we produced film material, artistic drawings, photos and blogs. The post-production took shape in 2018, leading to the creation of a website that presents most of the material that was gathered in Madrid. It features photography, videos, graphic reporting and texts from participants. We think it works well to reflect the work of commoners at the Assembly, and the wide variety of topics that they worked on. Of course, this is just one iteration of the raw output. We have tried to make the materials available in a ‘open source’ kind of way: we explicitly hope that more participants will take the material to create different post-production iterations. In that spirit, we estimate that there must be other resources that we have not managed to collect, like notes from a workshop, images that were not sent in, or even a photo of a great idea on a post-it. Let’s work together to salvage as much intellectual harvest as possible, to continue the building of the European Commons Assembly. The European Commons Assembly has seen quite a few spin-offs since we organized the first one. Good examples are the Dutch Commons Assembly, De Meent, and the Antwerp Commons Lab, in Antwerp. The idea for De Meent was conceived after the ECA in Brussels, but only after visiting Madrid did the Dutch team know how to go about it. De Meent is shaping up to be an association for Dutch commoners, with a membership scheme and a clear set of services, like legal assistance in setting up your own coop. It also has a clear focus on policy, sometimes even working with lawmakers to make space for more commons-based alternatives in cities. The Dutch are now preparing to build alternative -and cooperatively run- platforms to counter the extractive forces of AirBnB and Uber, slowly destroying Dutch cities. This year, De Meent has started a project together with Commons Network and Waag to map out all commons initiatives in Amsterdam and Utrecht, to build an interactive and crowdsourced online map. This project will evolve into the foundation of a Dutch ‘Chamber of the Commons’. In Antwerp, ECA-participant Koen Wynants started Commons Lab Antwerp, a platform for active citizens in the Belgian city to work together. The Lab explicitly states that they see the city as a commons, as a set of shared resources that the citizens should manage together. The platform has the stated goal to become a commons in and of itself too. Next month, the Commons Lab will hold a day-long event around the concept of ‘sharing cities’, with workshops and tours. Later that day, thinktank Oikos will launch its new book ‘Op Grond Van Samenwerking’. Finally, at night, there will be an evening with speakers and discussion, and a keynote speech by commons professor Tine de Moor. November 13th in Antwerp! 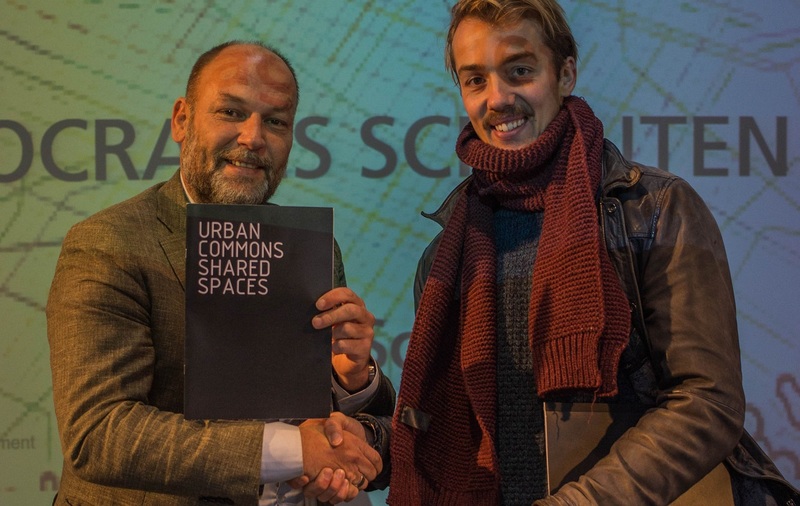 The commons assemblies in Antwerp and Amsterdam are just two examples of a larger trend. All over Europe people are joining forces to start platforms, networks, and action collectives to build the commons movement from the ground up. We hope that these local groups will continue to reach out to eachother, to show other commoners in other places that they are part of a bigger global alliance. An interesting event after Madrid took place nine months later, in the summer of 2018, in London. The UK Commons Assembly was cordially hosted by Tate Modern, and co-organized by the School of Civic Action, Public Works and Commons Rising, who also participated in the ECA in Madrid. The assembly aimed to showcase ‘the wealth of commons projects happening all over the UK’. “Following the Assembly in Brussels and because of the lack of substantial representation of UK commoners at the event, the idea of a UK Commons Assembly arose. Public Works, a not-for-profit critical design practice that occupies the terrain in-between architecture, art, performance and activism, and ECA organizers discussed it and then circualted the idea through the network. Commons Rising, a group of UK commoners that aim to share knowledge and connect experiences on the commons in the UK, partnered up with Public Works to kick off the first gathering of UK Commoners. Although it was called an assembly, it was really more a gathering to bring together practitioners, activists and organisations to share their practices and knowledge and to see if they feel like they belong to the commons discourse. The event took place in July 2018 at Tate Modern part of their Tate Exchange program. The Tate Exchange, which is the community outreach program of Tate, provided a public platform where the idea of the commons can be brought to a wider audience without funds required for space and marketing. As organisers, we were absolutely aware of the political context of the Tate and its colonial past, but we agreed that the benefits of it for this gathering outweighed the negatives. The event was largely a positive and fantastic one filled with hope and interest for future events. It is essential that the UK Commons Assembly does not become a London centric venture and that other regions of the UK should host the future gatherings with us sharing our experience and knowledge of the London edition to ensure we don’t lose knowledge yet don’t dictate the form of the gathering. A second main event was the ‘Commons Camp’ in Grenoble, in August. It was part of a bigger festival, called the ‘Summer University of Solidarity and Rebel Social Movements and Citizens’. The event, organized by ECA co-founder Remix the Commons, featured many French municipalist activists, commons scholars and focused on the Right To The City Movement, Municipalism and Commons, working towards building digital tools to assist commoners in their work. Finally, also in August of this year, some key actors behind the European Commons Assembly travelled to Malmö for the Degrowth Conference, where they were able to co-host a few sessions on behalf of ECA, focusing on the commons. Mikko Laamanen, Ruby van der Wekken and Ana Margarida Esteves represented the European commons movement in Malmö. What is next for the European Commons Assembly? The organizing team behind the Brussels and Madrid events can only hope that the larger commons community will come up with a myriad of answers to this question. There are many local assemblies, platforms, networks and groups, and the ideas and practices of the commons are really starting to spread out to other fields of civil society and politics. For instance, the new city government of Amsterdam explicitly mentioned the commons in their four-year plan, commons-focused groups have started to work together with other NGO’s, more and more universities are starting commons-oriented research programs, and authors like Kate Raworth and George Monbiot, who specifically talk about the commons, have become international best-sellers with a very broad audience. Politics, in the broadest sense, is looking towards the commons movement for ideas. The Labour Party in the UK is re-inventing itself, taking the commons as their inspiration. The European Greens are building on the principles of the commons for their policy platform for 2019. And in European cities, new progressive policies that use the commons are being introduced every day. Things are looking up for the commons. Let’s continue to strengthen our movement!